Last year for Valentine’s Day I made my wife some meatloaf cupcakes. The reviews on them were mixed. I absolutely loved them. Her on the other hand? Not so much… This year I came up with what I think is an even better idea. 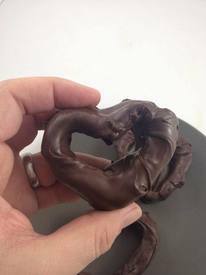 Chocolate covered Bacon hearts!